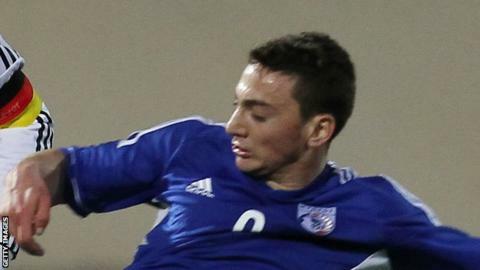 Walsall have signed Cyprus striker Andreas Makris from Anorthosis Famagusta for a club-record fee. The undisclosed fee for the 20-year-old, who has 10 caps for his country, is more than the £175,000 paid for Birmingham City's Alan Buckley in 1979. "From the moment I walked into the stadium I felt comfortable I know this will further my career," Makris said. "I will always give my best here and I can't wait to score goals and celebrate with the fans."